Important: The information provided in this article is only applicable to 23andMe customers who received the old experience reports prior to the transition of their accounts. 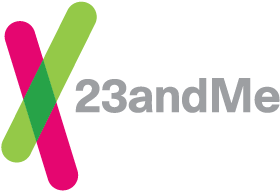 These customers will see a Reports Archive option within their 23andMe accounts. If you do not see a Reports Archive option in your account, the content of this article is not applicable to you. The Reports Archive is a place to access the health-related reports available in the previous versions of our service. These health-related reports are no longer compatible with our website experience, but are available in their PDF format to download and print. Your Reports Archive will only include the health reports for your profile – people with whom you are sharing results will not be included in your Reports Archive and the Reports Archive is not shared between accounts. The Reports Archive can be accessed from the side panel in your account, or by clicking here. If you have concerns about your results, talk to a healthcare professional. Keep in mind that updated versions of ancestry-related tools and features are accessible in our new website experience and are not included in the archive. In the Reports Archive, you can view your health-related reports by downloading a single, printable summary of all of your results, or by downloading all of your individual reports in a single .zip file (only recommended for desktop or laptop users). You can download either or both reports at any time from within the Reports Archive. Depending on the device you are using and the information you are interested in viewing, you may find one download option preferable. Both the Reports Summary and Download All Archived Reports include reports on your Genetic Risk Factors (also known as Health Risks), Inherited Conditions, Drug Response, and Traits. The amount of detail included about the report vary based on the download option you choose. You can download either or both reports at any time from within the Reports Archive. Tip: You can download either or both reports at any time from within the Reports Archive. Depending on the device you are using and the information you are interested in viewing, you may find one download option preferable. Some accounts contain more than one registered profile – this is different than Genome Sharing. Profiles with whom you are sharing results are not registered into your account. For information about Genome Sharing and the Reports Archive, click here. If your account contains more than one registered, genotyped profile, the Reports Archive will download the health-related reports for the profile name displayed in the upper, right corner of the screen. To download an archive for a different profile in your account, navigate between profiles and select the intended download option from the Reports Archive page. You can navigate between profiles in a single account by opening the account menu and clicking on your profile name and then selecting Switch Profiles. Keep in mind that profiles with whom you are sharing genomes will not show up in the Switch Profiles list; only additional profiles registered to your account’s email address will appear in this list. People with whom you are sharing results - called Genome Sharing - will not be included in your Reports Archive and the Reports Archive cannot be shared between accounts. A family member or friend who is registered to a different account will need to share his or her archive with you outside of the 23andMe experience. Learn more about ways to share your archived reports. Once you have selected to download your archive, you can usually find the downloaded file in the Downloads folder on your computer or mobile device. These files begin with "23andme_Archived_Reports_". Using Finder to locate Downloads file on a Macintosh computer to find All Archived Reports (.zip) and Reports Summary (.pdf). The Reports Summary will be downloaded as a single, PDF (.pdf) file. All Archived Reports will be downloaded as a ZIP (.zip) file. You will need to unzip the file in order to view your individual archived reports. Need some extra help unzipping files? Select the type of computer you are using to learn more. The Reports Archive of people with whom you are sharing will not be included in your Archive, and vice versa. To share the health-related reports located in your archive with family members or friends, you will need to download and share your reports outside of 23andMe’s sharing experience. While there are many ways you can share reports - such as via email or a file sharing service - the simplest way to share these reports is to attach your Report Summary, Individual Report, or All Archived Report (.zip) file to an email.